In an interview with Egyptian publication Ahram Online, Accelero Capital Holdings co-founder Naguib Sawiris, the former chairman of WIND Mobile, has declared “I am finished with Canada, I tell you,” after Ottawa blocked his company’s $520 million bid to acquire the MTS-owned Allstream fibre optic network. The Federal government’s decision was made based on the Investment Canada Act, which allows the former to block bids based on national security concerns, on top of a “net benefit to Canada” test which weighs a potential investment’s overall impact on the economy. Africa’s ninth richest person, according to Forbes, says Ottawa should not have allowed the deal in the first place as both companies were “totally pre-cleared” for a deal to happen, even 136 days after the deal was announced. 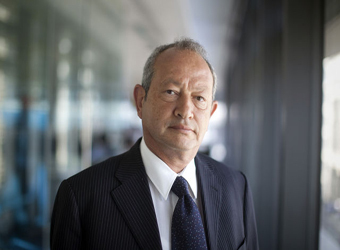 Sawiris believes the the only national security concern link would be his ties to Orascom Telecom, where he is the chairman, as the latter has a 75 per cent stake in North Korea’s sole 3G cellular carrier, Koryolink, which launched in 2008. “Maybe they thought there was a link between North Korea and Egypt, and that Egypt was sending agents to spy on Canada” on behalf of North Korea, “like a James Bond movie,” said Sawiris, whom North Korea’s official news agency in 2011 reported met with the late North Korean leader Kim Jong Il to discuss business opportunities. “That’s their level of sophistication,” said Sawiris, referring to Canada’s government, which he said he puts on a par with China for its restrictions on foreign direct investment in its telecoms sector.